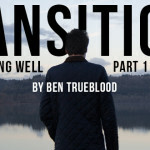 In yesterday’s post we talked about the importance of leaving well when your time for transition comes. 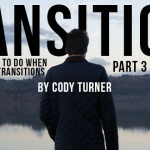 The other side of the transition conversation is when you start in a new ministry position. Whether it’s your first position as a student pastor, or you’re just starting in a new church, it’s important that you start strongly. But what exactly does that mean? For our purposes here let’s define starting strongly as beginning in such a way that will lay a foundation for long-term effectiveness. The words “long term” are important here, as it should be our goal to invest and influence in a ministry for a long period of time, even if God chooses to move us at some point along the way. Spend time with people. Get to know parents, students, and current leaders in the ministry. Take time to learn names. When you learn names it adds value to people immediately and it is worth your time to learn as many as you can up front. Seek out time with your pastor. Your long-term effectiveness in student ministry has a great deal to do with the relationship you have with your pastor. When he trusts you and knows you have his back you are well on your way to a strong start. Don’t come in with a “change everything” mindset. Learn the current programs and systems making sure to evaluate everything. Don’t be afraid to make changes early on. This is not meant to contradict the previous point. There’s a difference in coming in with a “change everything” mindset and being willing to make changes essential to moving forward. Communicate your vision with clarity. Make sure those involved with student ministry at every level know your heart and where you see the ministry going. Paint the picture of what the ministry will look like in the future. Build key relationships in local schools. Who are the influential teachers, coaches, and school faculty? 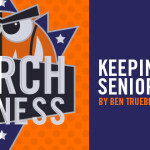 Focus on these relationships because they will pave the way for you to be involved on campus, which is an important piece of an effective student ministry. Discover which volunteer leaders will readily accept a new vision and move forward with you and which ones you will need to spend more time with to develop and get them to where they need to be. Spend as much time with parents and leaders as you do with students. Get people into your home. There’s something different about welcoming people into your home than just meeting them frequently at the church. When you begin a ministry welcoming people into “your world” you make a loud statement that your ministry is going to be based on relationships. This simple decision will open many doors down the road for you. Have fun. You don’t get many chances to make a fresh start. Make the most of it! I would love to hear from you! What are some things that you have done to start strongly in a new ministry? Leave your answer in the comment section below so we can learn from your experiences.